At the beach, it is easy to feel relaxed. The soothing sound of the ebb and flow of the ocean mixed with the warm, tropical breeze can take all the worries away. You want to let go, feel like you are away from it all. The one thing, however, you should never let go of is your personal awareness of what is going on around you. Despite the fact that we want to believe that sunshine chases all the evils away, unfortunately it can bring many criminal moths to the flame. Bad things unfortunately do happen in beautiful, breathtaking settings. 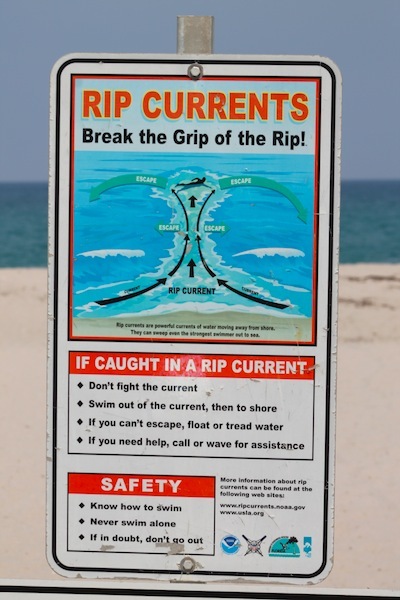 Most beaches will have a sign that will remind you to make sure all of your valuables are locked away; these signs exist for a reason. I once read that law enforcement officials believe that a clean car is a safe car; if there is nothing in view to tempt the thugs and thieves , they will move on to the next car. 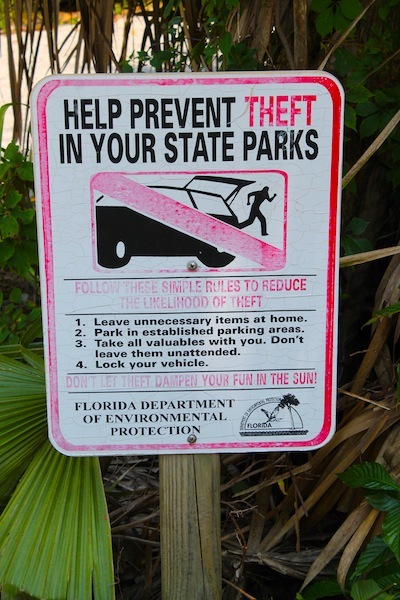 Criminals know that once you leave your car for the beach, you probably won’t be returning for a while. Most of the time your car won’t be within your sight. The criminals know this. There will usually be a lookout, watching the lot, and looking for certain things that will tip them off to some goodies. Another scenario I witnessed was a gentleman who left his shorts on the passenger’s seat of his car. When he returned to his car after a mere fifteen minutes, his passenger window was smashed in, and the shorts were gone. Luckily, nothing of value was in the shorts, but it was mind boggling to think that someone had just smashed his window in in hopes of something being in the shorts. They stole SHORTS. It was a huge chance that didn’t pay off for them, and ended up causing a headache to the gentleman victim. If there would have been a purse, smartphone, or mp3 player within view, that stuff would have been gone before you even had a chance to return to the car. 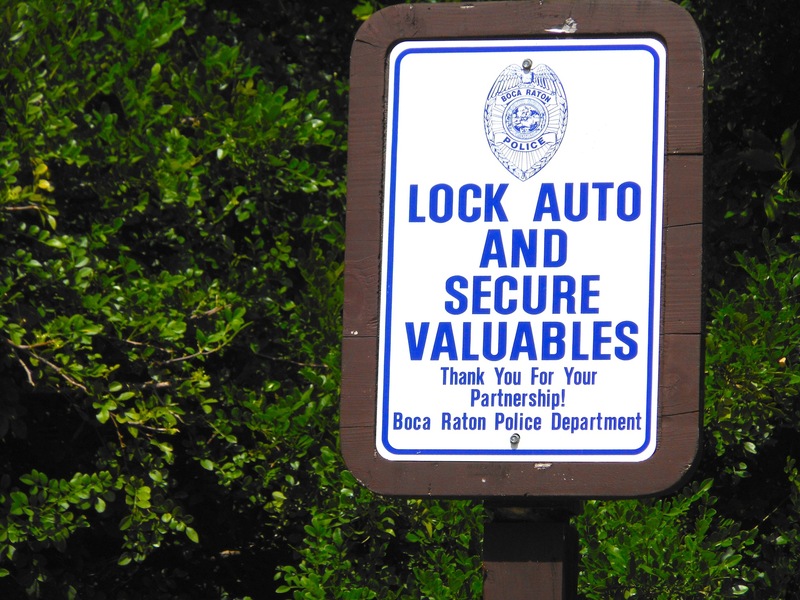 Just because the doors are locked, your valuables are still within reach. People will also be bold and steal something right out of your beach bag or off your beach towel. Broad daylight won’t stop them, so be aware of the people around you. Always have an eye on your things. Don’t let your day in paradise turn into a nightmare. Don’t Flaunt Your Technology. Don’t walk onto the beach and pull out your shiny new iPhone, your amazing SLR camera, and then run into the water. Now everyone knows you have the good stuff. If You Are With a Group, Don’t Leave Your Beach Camp Unattended. Go to the water’s edge in alternating groups, so that there is always someone with all of the beach bags and stuff. If You Are Alone, leave your stuff in front of the lifeguard stand. Lifeguards are observant, and might notice if someone else goes sniffing around your things. Leave Your Designer Gear at Home. Everyone loves to show off their designer beach gear, but no one likes to lose it. Save the labels for the pool. Lock Valuable Things You Can’t Be Without in the Glove Box. If your glove box has a lock, put things like credit cards, etc. in there. Place them between the pages of a car manual. The longer a thief sees a prospective robbery taking, the lower the chance they will take the risk. Make Sure Your Car is Secure. Double check the locks, double click your alarm system so the whole parking lot can hear it beep-beep. Check on Your Car Often. Sometimes it’s not a bad idea to run back to the car and make sure nothing sketchy is going down, either to your car or someone else’s. It takes a village. Park Where There is Security. Park where there is an attendant, where there are workers, and near other cars. There is safety in numbers. Keep Things Out of Sight. 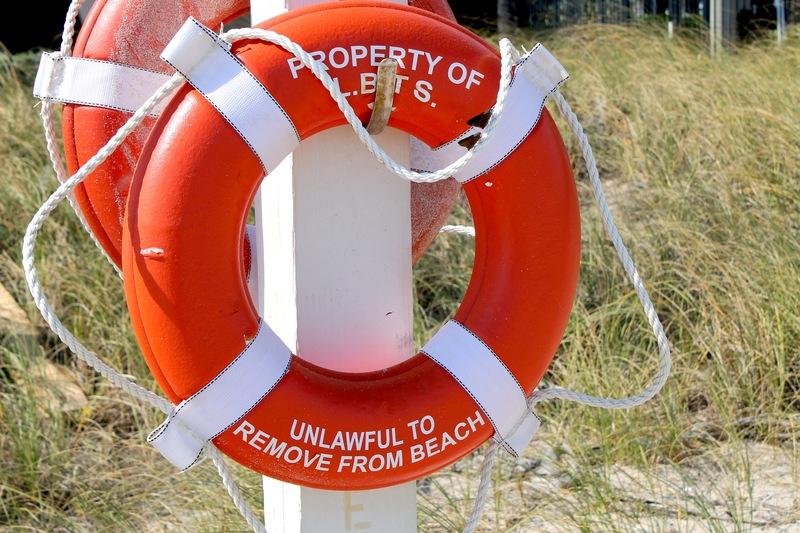 Whether it is your car, or your beach blanket, don’t leave things out in plain view. Leaving something as simple as a car charger may signal to a thief that there is a phone somewhere to be found. Don’t Even Risk It. Whatever you truly do not need with you at the beach, leave at home. Always Trust Your Instincts. If a place is giving you bad vibes, turn around right then and there, and go somewhere else. Don’t take a chance if your inner voice is telling you something is wrong. Don’t let other people kill your jive, be thoughtful and prepared and you should have a great time! This is not the time or place to figure out if ignorance yields bliss, because that could mean you could lose something you will really miss.